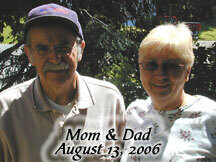 "Had a Dad" Alzheimer's Blog: Coffee prevents Alzheimer's? I was browsing a natural health forum called NatMedTalk, and I found a post about coffee preventing Alzheimer's. This is yet another thing that my dad did--drink coffee--that doesn't appear to have done anything for him. Every time I hear a new one of these, and it's something my dad did as a matter of course (not as prevention for anything), I feel like screaming. A daily dose of caffeine blocks the disruptive effects of high cholesterol that scientists have linked to Alzheimer's disease. Okay, my dad did have high cholesterol. But he had it under control long before he was diagnosed with AD. And caffeine is different from coffee. Not all coffee has caffeine, and caffeine is in other things than coffee. Personally I hate coffee but I eat plenty of chocolate and drink cola so I get my caffeine fix that way. I can see Starbucks picking this up and running with it! Our overpriced gross-tasting drinks might save your life some day so come on down! Anyway, drink your coffee and don't feel guilty is the motto of the story.